Australian trade minister Craig Emerson has reiterated his country’s trust in China’s economic outlook being positive. His remarks come after a new trade and commerce survey. Australian business leaders in China believe the Asian Century will bring a wealth of new opportunities, Emerson said on Tuesday. “China’s shift to a consumer-driven growth model is creating huge demand for a range of high-value Australian goods and services, as well as our traditional commodity exports,” Emerson said. The Australia China Business Perceptions Survey, conducted for Austrade and the Australian Chambers of Commerce in China, found 69 per cent of survey respondents were optimistic about China’s economy and 66 per cent were positive about the outlook for their own organisation within it. Conducted by Sweeney Research, the survey found that 24 per cent of businesses were “extremely likely” to expand their existing physical presence in China, while a further 29 per cent were “very likely” to do so. 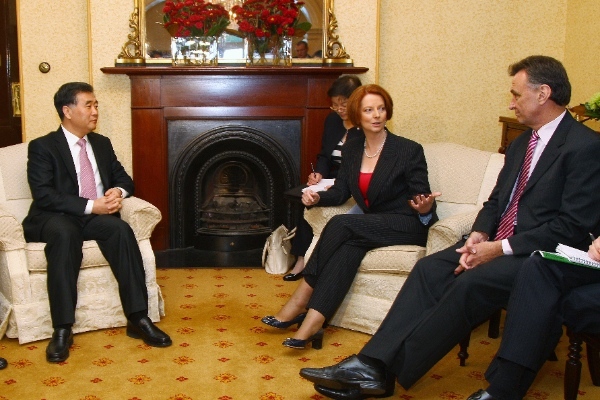 James Packer, Australian billionaire businessman, had said in 2012 that China’s rising middle class will turn around the Australian economy. Regulatory hurdles were a challenge in China according to survey respondents.